Who should have ‘naming rights’ for OB? 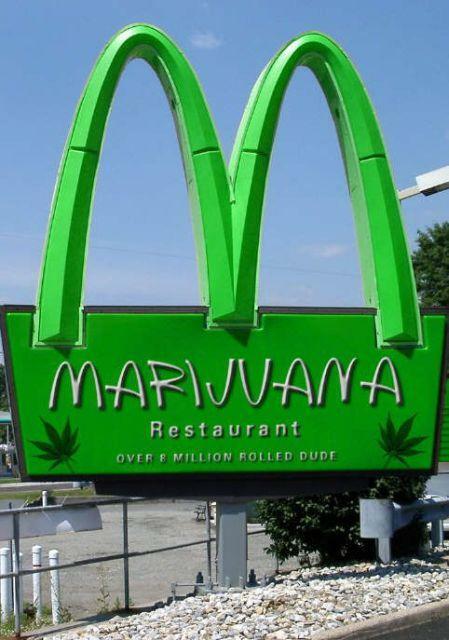 Perhaps that new marijuana restaurant could be our sponsor. Fresh on the heels of losing a battle to put an initiative allowing city contractors to pay sub standard wages and winning an imaginary battle to defeat a non-proposal to increase the city sales tax, San Diego’s tax cutting and union busting caped crusader, City Councilman Carl DeMaio has stunned local observers by proposing a new plan that could actually work to increase local revenues. Not enough to actually make a difference, but, hey, at least it’s not another cut in services. 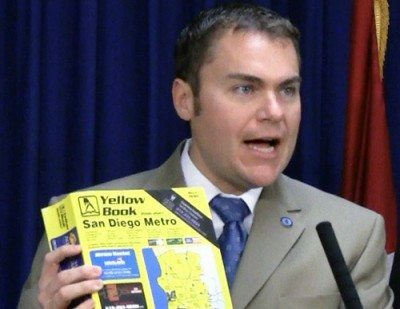 Carl DeMaio proposes corporate sponsorships (naming rights) for just everything. In a various media appearances and in a City Council committee hearing, the crusading Councilman –who has previously been described in these pages as “Darth Vader with nice clothes” – proposes asking the City Attorney’s office identify ways to modify the municipal code — particularly the city’s Signage Ordinance — to allow flexibility for more marketing partnerships. Such revisions would allow corporations to purchase gateway naming rights, among other things. The revenues generated by such enterprises, according to a report authored by DeMaio, which might include information kiosks, sponsorship of City vehicles and exclusivity deals (i.e., Pepsi, the official soft drink on San Diego), could generate significant revenues for the city that can be used to help restore neighborhood services and balance the budget. 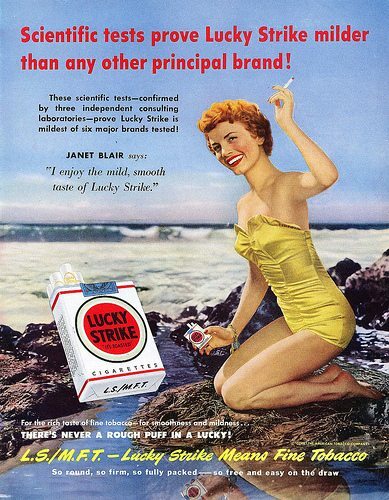 Maybe we could have a cigarette company sponsor us. Initial estimates indicate that these revenues could amount to as much as $4 million annually. And San Diego’s beach communities (according to a DeMaio tweet on July 14th) have been proffered as the testing ground for the “Initial Marketing Partnership Pilot Project”. So now, it’s time for citizen input. What corporate sponsors do you think the City of San Diego will attract for OB’s gateway areas? Leave your proposals in the comments section. Editor: Go here for the Unio n-Tribune version. Just parrots in the trees. The Collective of San Diego Cannabis Collectives welcomes you to Ocean Beach. Speaking of medicinal marijuana, anyone else notice that there is a bunch of barbed wire and fencing around the back of OB Surf and Skate, where that new collective is? I walked over to check it out at the Farmers Market tonight and got stared down by a couple of guys that might quite possibly be armed security (at the least, one of them had brass knuckles on). I personally support medicinal marijuana, and think that particular facility seems to be one of the ones doing it right, but… well… just speculation worth noting, I guess. Seth – I notice this particular place has been brought up a couple times – in back of OB Surf & Skate – where is that? Does the business front Santa Monica (on the other side of the alley at the new S&S)? I knew of a couple dispensaries on Newport, one on Sunset, and one on Voltaire, but maybe I missed one even going in? A guy was really walking around wearing brass knuckles? I thought I left that goonishness behind me in El Cajon…would love to see a pic and maybe I’ll try to snap one, that sounds like a ridiculous sight! Brass knuckles are actually illegal. Possession of such is a misdemeanor. At least 80 permits issued in OB alone? Issued by who? Source please? Dave, this number is what was stated by Faulconer’s reps at some recent meetings of the OBPB (I believe the exact number provided many months ago was 78 within OB, and there has perhaps been a moratorium on this since… or not). And I would stress that the barbed wire and brass-knuckled security I saw may in fact have nothing to do with that particular facility. I really know nothing about them, to be honest. My take is essentially that when the state ruled that medicinal marijuana was a legal use recently, it really opened up some gray areas. I don’t want to call getting a permit for these dispensaries a loophole, but they are certainly loosely regulated and without much oversight. They basically exist in a legal no man’s land, where the state says they are legal, the feds disagree, and local governments are scrambling to regulate them. The County just did implemented some regulations a few week ago for the unincorporated areas, and the City of SD is in the process of doing the same. In the meantime, they are basically all over the place, in San Diego and especially OB. Commercial areas, residential and who knows where else? One in North Park is a block away from an elementary school, I believe. As they don’t come before the OBPB, and are not really require to identify themselves, I wouldn’t even be able to tell you where they are in Ocean Beach. I can tell you that several community members have been monitoring this closely. Dave Martin of the OMBA/OBTC served on the Medicinal Marijuana Task Force that provided a list of recommendations for the City, the OBPB took a position on these dispensaries (basically to support the Task Force’s recommendations, with some minor modifications) and the whole thing is certainly a topic of great interest to your elected politicians. Personally, I support medicinal marijuana, but having lived near other dispensaries in other parts of the state, I am also wary of them. Some are well-run, others not at all, and all run the high risk of being robbed (marijuana is still a black market in nearly all other parts of the country, after all). At least three dispensaries in San Diego have gotten robbed by armed gunmen in the last week (they even stole the owner’s shotgun on the way out the door during one Normal Heights robbery). Others, including some in OB, have also recently been raided by the feds. As far as OB is concerned, I think there is a very legitimate question on whether they are a compatible land use for this community or not. It’s fun to contemplate the idea of OB as a “green light district” of sorts, with several dispensaries and related shops catering to locals and tourists, but the flipside is potentially a bunch of storefronts with barbed wire and armed guards, and brazen daytime robberies of these dispensaries by armed gunmen (not to mention several local mom and pop businesses getting priced out of our commercial areas). Is that really what we need for our local residents and tourists? Anyhow… I could ultimately get behind one or two of these dispensaries within OB if they are safe and well-operated, but I see it as being something the community should definitely pay attention to. It’s an issue that is about a lot more than simply whether or not cancer patients can get some pot. Your opinion is well put, thanks Seth! I think Faulconer or whichever one of his minions spit out the 80-permit figure was misinformed or blowing smoke. To date, there have been 0 (zero) permits issued in the city, to the best of my knowledge. The gray area is that the city council has failed thus far to adopt any kind of permitting process or guidelines for acceptable zoning, location restrictions, etc. Therefore every dispensary is currently operating unpermitted. They may have filed for business licenses with the city or county, but that’s a different matter, as is the allegation that the ‘regulations’ adopted by the county amount to a med-mar ban in unincorporated areas, since the only acceptable sites are completely infeasible as far as patient access and security goes. I know of five dispensaries currently operating in town – one on Sunset Cliffs, two on Newport, one on Voltaire, and one on West Pt. Loma. But I’m no expert myself, there may be more (like the one on Santa Monica you reference in your original post). Whether that’s the right number, too many, or leaving room for more competition is a worthy debate. Would we prefer to lump them all into one area, or is it okay that they’re scattered all over town (one is in a mixed-use residential/commercial building)? What are they doing, and what should they be doing to ensure the safety not just of their employees but the safety and peace of mind of their neighbors? I support medical cannabis (and cannabis in general). But the way we’re dealing with the issues surrounding it right now doesn’t seem to fully address the concerns people have. Is this a conversation that it might be appropriate for one of our community groups to initiate with the dispensary operators? Thanks for the correction, Dave. Business licenses, not permits. An important distinction, though I do take that provided figure at face value and believe the general context of this is basically the same. It’s really kind of an interesting issue, and we will have to see where it goes. I do know that a lot of people have already weighed in on the local OB aspect of this, and my personal impression is that many would at least like to see them go through the same sort of permitting process that a liquor store would have to. The language of the public recommendations being floated around is pretty explicit in terms of what types of zones these dispensaries might be allowed in, and in there being either 500 or 1,000 foot buffer zones around schools and/or churches, etc… which would likely make it very challenging, if not impossible, for them to stay in operation within OB. I guess we will see it all play out at the ballot box, City Hall and probably a few courtrooms as well. The one on Santa Monica is actually in the alley between Santa Monica and Newport facing the parking lot. The other is in the the back of the center fronted by Your Mamas Mug. Both are just a couple of blocks from an elementry school. Hmm.. are the injuries incurred by getting the snot knocked out of you good enough for a pot ‘scrip? Maybe they’re there to drum up new business…..
World Oil….we can destroy a park in a blink of an eye! I don’t know whether to call this whole thing insane or what, I’ve always considered these naming rights things an absolute sham, shilling for corporate america. OTOH if corporations are such suckers for PR whoring they’ll fork over millions just to put their forgettable corporate marketing consultant coined name on stadiums and what not for the benefit of the public coffers, why shouldn’t we empty their pockets? How about something from BP, since we’re a beach? “Shannon Brown, a board member of the Ocean Beach Foundation and founder of Brown Marketing Strategies, said the idea of the city generating money through such partnerships is worthy, if done tastefully. However, there is a local Ocean Beach Foundation. I don’t have a link to it. If DeMaio is willing to sport a full car ad by Preparation H on his (publicly owned?) vehicle as well as the other city vehicles, then I’m all for it. Why not let all easily identify who the real pain in the asses are. As for OB….how about these? A dog food both you and your pets will enjoy! The July 14th city budget committee meeting discusses advertising on our beachs. If interested and you want to watch the city TV segment click on strategic marketing and advertising. Everything is up for “sale”, they call it “expanding partnerships”. More than likely the money would go to the general fund. Gotta build that new city hall! OB sponsored by a Corporation…i guess everyone sells out if the price is right. I wonder if that pretty new bathroom we are getting will have Exxon or Starbuck’s logo? That would be SPECIAL! How about the “medical marijuana society of SD” sponsoring ALL the lifeguard stations in SD? How could the city of SD say no to all that REVENUE! As demonstrated by the complete emptiness of the Dog Beach parking lot on any given warm summer evening, and even fourth of July was a no show- (parking spots available in the lot at 6-7 pm! WTF? People putting cones out to save a spot for friends not beaten to a pulp for such audacity? unheard of!) I can say all those wanting a “nice, quiet, family safe beach” have gotten their wish. It’s bullshyte, no mincing words there. As we plunged headfirst into a depression they put prop D on the ballot- San Diego’s #1 industry is tourism, our #1 tourist draw our beaches, so let’s just take the reason people were driving the extra distance to come here and flush it. Crowds, noise, litter? Go away! It’s TOO MUCH TROUBLE to deal with. Lifeguards, EMT’s, Police, all chimed in, “our jobs will be SO much easier to do without all those damn people in our way”. Does sound alot like the old motto of the retail clerk, doesn’t it? Well I guess they were right, and the head count at the beaches is down so low along with business revenues we laid around half of you IDIOTS off, now your job is VERY easy to do, just fill out the unemployment form every two weeks. Just as we put prop D on the ballot, so shall we taketh away. I think the OB Rag should focus on supporting that should it be put on a future ballot, and maybe have a few interviews with public servants that are more realistic than the last ones were. Like reminding them their job is not about seeing how easy your day could be but managing public assets so they can be fully exploited by their owners. The public. Who last time I checked would not do well by complaining how easy their day would be if they didn’t have to get out of bed and fight all that traffic to go to that nasty place and work for the bad man. Here’s the last NO I encountered from our LOCO post office….I mailed a $5.70 LETTER and realized I forgot my post key to pick up my mail. I asked (and said please and even had my ID with me) if the clerk could grab my mail for me. I was told NO, you can buy another key for $7! So here’s the latest NO. No service from the postmasters. While I would attest to absolutely superb service and relative bargain rates from the OB Post Office, that does seem rather absurd. Perhaps there is a regulation that said employee’s deepest sympathy for your inconvenience still could not allow then to breach? I have 2 keys I just happened to have left my key chain on the table at home. In the spirit of not wasting gas, spending more time running back and forth and because I have never imposed upon a public servant of the post office, I simply asked for a favor since there were no other customers line. It’s my opinion and my experience. I am sure there is some regulation in the employee’s manual that says you are not suppose to go to a customer’s mailbox and remove their mail for them if they forget their key/…and employees will be written to if they dare to exceed their duties and provide any more customer service than what is required in the manual. So, I will forgive but will not FORGET. Just to ensure we’re on the same page I agree with you that given the circumstances it is obscenely silly you cannot simply flash a valid ID at the post office and procure your mail on site from one known location (as opposed to chasing down a carrier who has a letter and you need it now, seen that before while in line) and you seem to agree with me that it was in all likelyhood out of the employee’s hands and a bureaucratic chunk of red tape no common sense “think on your feet” action could override. I like to argue with people, this is not one of those times. Newer Article: New rules being considered for dog handlers at leash-free parks.